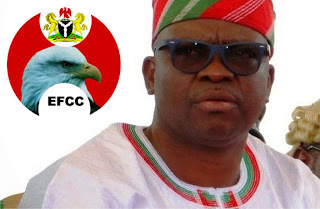 Ekiti State Governor, Mr Ayodele Fayose, has challenged the Economic and Financial Crimes Commission (EFCC) to make public the statement it has extracted from the former National Security Adviser (NSA), Col. Sambo Dasuki, in its ongoing probe of money meant for the purchase of arms and the funding of the last general elections in the country. He also said the agency should publish his personal accounts it has frozen to let the whole world know what are contained therein. The governor threw the challenge at the weekend while featuring on an interview programme on a private radio station in Ibadan, Oyo State . In a statement on Sunday by his Chief Press Secretary, Mr Idowu Adelusi, the governor opined that by publishing Dasuki’s statement, it would at least show whether the ex-NSA gave money to former Minister of State for Defence, Senator Musiliu Obanikoro or anybody to give him (Fayose). “What I am facing in Ekiti is a war of the elite and incidentally, it is the masses that vote people into office. 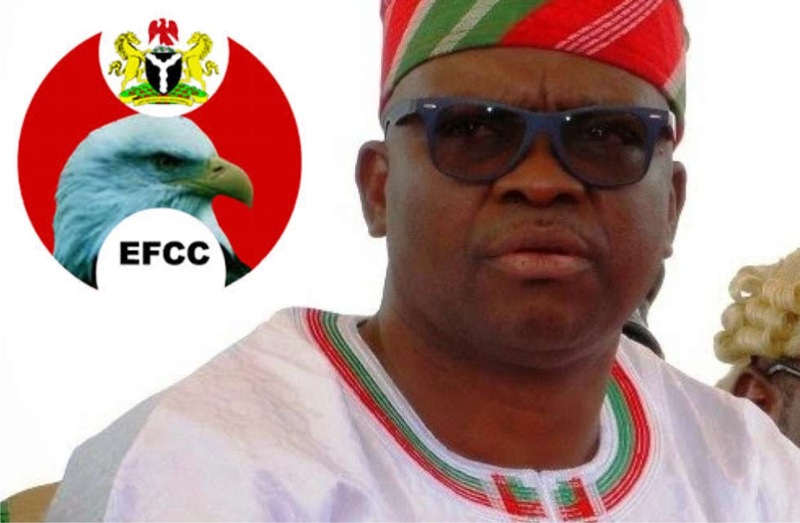 We know some failed Ekiti politicians who now resume daily in EFCC office to concoct stories and give same to their commissioned newspapers to publish.‎ It is only one or two newspapers that always have their so-called exclusive stories and they follow the same patern. “The EFCC is only engaged i‎n mind game. They think they can wear me out, that is not possible as God is on my side because I stand for the truth. EFCC has not told Nigerians how money was wired to me.‎ They must be responsible to do investigation that would not be a media issue. What the EFCC and their APC collaborators are trying to do is to set the people of the state against me and they have failed. “In my two accounts that they have frozen, I have N300 million in the fixed deposit one and N82 million in the other. Both accounts and my properties were duly declared in my Asset Declaration Form. They are treading the same 2006 path and they will fail woefully by the grace of God. What they did in 2006, the Supreme Court declared it illegal and I came back to office exactly eight years after. It means one of us lied and was mischievous,” he said.